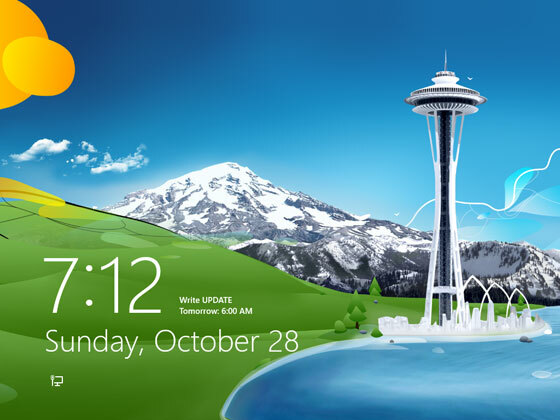 Lock screen in Windows 8 is useless for many people as it doesn't do anything special but tasks your system a little bit. Lock screen might look attractive in mobile phones and tablet but absolutely not in laptops or desktops that run Windows 8 in particular. Therefore, it would be better to remove it that it also requires extra step to unlock your system. Another problem is whether you have replaced its default lock screen, it will still show up when you boot up your PC maybe for 2 seconds then after that it's now lock screen of your choice. By default, Windows 8 doesn't provide option to disable lock screen but there are two methods you can use, which are using Group Policy Editor and Registry Editor. However, these method might confuse you if you aren't techie and very unfamiliar with system modification. Therefore, I strongly suggest you to use registry-made application from AskVG.com. Just download the ZIP file, extract it, and run the extracted REG file. Don't worry if you want to restore to the default, there is restore REG file in that ZIP file either.